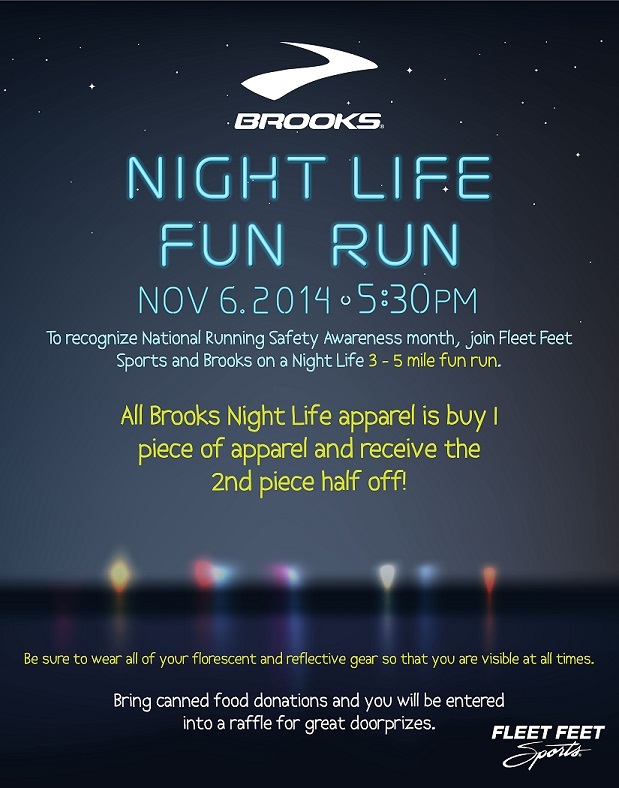 To recognize National Running Safety Awareness month, join Fleet Feet Sports and Brooks on a Night Life 3- 5 mile fun run. Give a ways to raffle off directly following the fun run! To be entered into the raffle, all you need to do is bring canned food to be donated for the upcoming holidays! If you do not have any reflective apparel or would like to add to your collection, all Brooks Night Life apparel is buy 1 piece of apparel and receive the 2nd piece half off! Fee: Free! Encourage all of your friends and family members to join you!